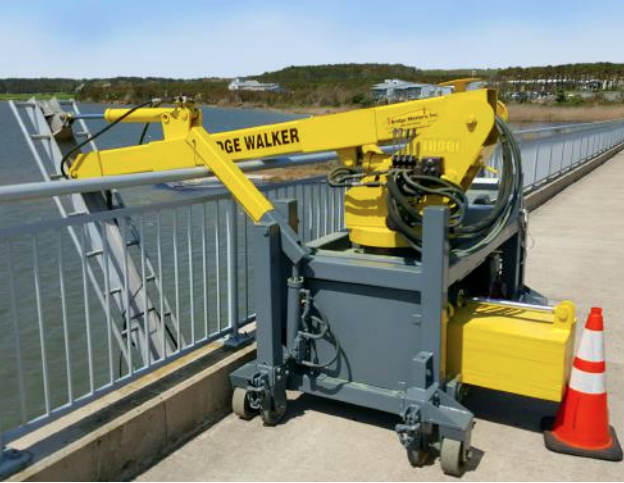 At only three feet width and with a basket capacity of 500 pounds, The Bridgewalker Type I is very useful in tight areas and can operate from the sidewalk, so it won’t impair traffic flow. 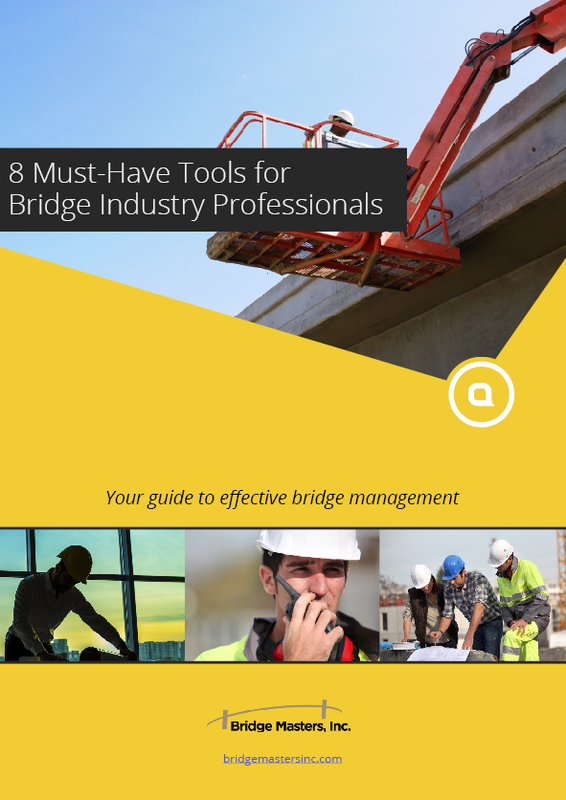 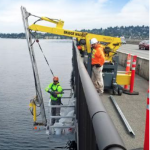 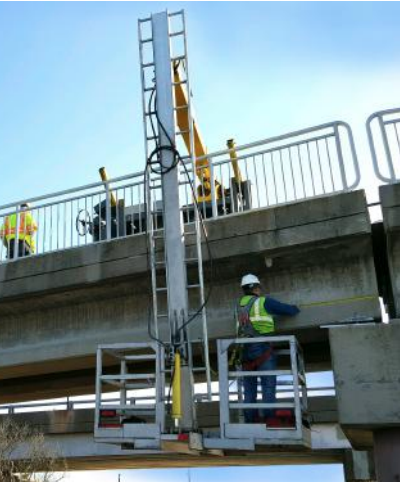 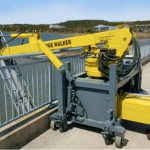 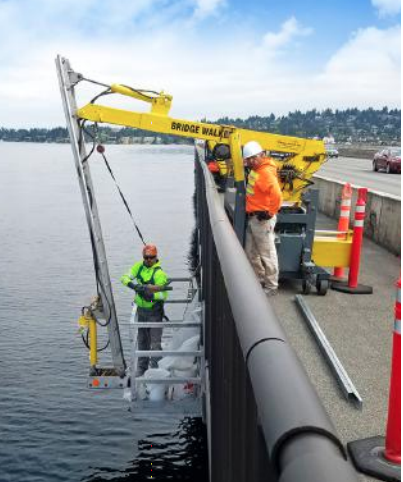 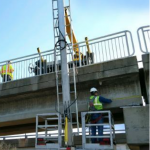 This unit can place workers up to 14 feet below a bridge handrail and up to 10 feet under the bridge. 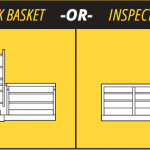 Any work along the edge of the desk is easily accomplished with a variety of basket configurations and vertical ladder lengths.